No matter where one lives anywhere in the world, humans are interested in the situation that is most close to us. Kenmore residents are usually concerned and interested the most with our homes and the homes around us; this is followed by concern for our block, then our street, then the Village, and so on. 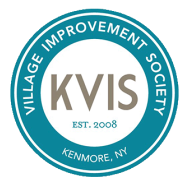 The KVIS has set a goal to establish a system of Block Representatives for each block in the Village of Kenmore. The area we are defining as a block is a part of street divided into its smallest increments or the area of the street between two side streets. For example, Block 1 of Hoover Avenue would include the area on both sides of the street from Military Rd. to Melrose Ave. Block 2 of Hoover is from Melrose to Wilbur Ave. Contact the KVIS or various Village officials when needed. Attend an annual All Block Representative meeting. Become a Block Representative TODAY! As Block Representative you will be able to simply and effectively –using very little of your valuable time– help make your block the best it can be. You will be able to make your block safer and more appealing and if needed, easily deal with issues like cars speeding or ignoring stop signs on your block, damaged trees or street lights, non owner occupied problem properties, etc. If you haven’t ever considered being a bit more involved in making your block to be a really terrific place (or keeping it that way) you needn’t worry. Being a Block Representative is not something that will be a burden to you; rather, it will become a source of inspiration and pride in your life as the area around your home more and more becomes everything hoped for. To become a Block Representative just find your block on the Block Club Map and complete this form or contact the KVIS at 716-877-0477 or mail@villageofkenmore.com. Should you wish to know more about being a Block Representative, please contact us or just stop in at the next Block Club Meeting on the 3rd Monday of each month at 7 pm at the Community Center located at 135 Wilber Avenue. Some Block Representatives at 3rd Monday meeting.